Come join Texarkana Texas Firefighters Association Local 367 as we celebrate the retirement and 36 years of service of Driver/Engineer Steve Rogers! We will be gathering at Elks Lodge at 3702 New Boston Rd. on Tuesday June 13th at 6:00pm. Fried Catfish will all the trimmings will be served. Stop by and thank Steve for his 36 years and wish him a happy retirement. On Saturday, Texarkana, Texas Firefighters Association Local 367 welcomed officials from the Texas State Association of Fire Fighters and the International Assocaiation of Fire Fighters along with brothers from Sulphur Springs Professional Firefighters Association Local 3237 to town to help with our campaign for Collective Bargaining. Tickets on sale now. See a member for a ticket or call/text 903-244-7531to get instructions to pay by debit or credit card. 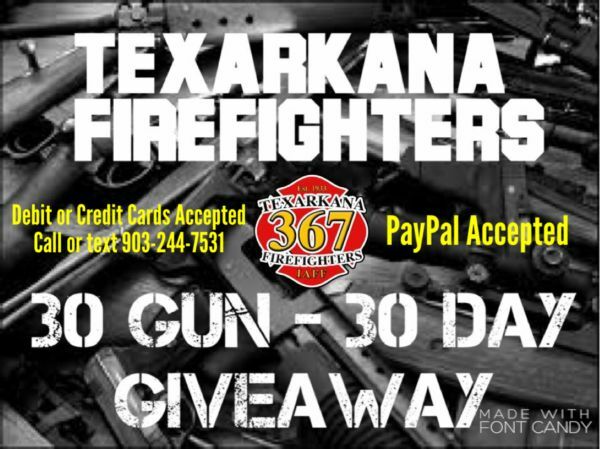 June 13, 2016 Texarkana, Texas Firefighters Association Press Release Texarkana’s professional fire fighters are highly trained and committed to being first on the scene of any emergency and doing whatever it takes to save lives and property. Even if that means putting their own lives on the line. Texas Governor Greg Abbott recently appointed Josh McGee, a paid employee of the Laura and John Arnold Foundation, to the State Pension Review Board of Texas. The Arnold Foundation is one of the lead dogs in the hunt to abolish first responder pensions and line-of-duty death benefits for widows and children of fallen firefighters and police officers. Elk's Lodge - New Boston Rd.